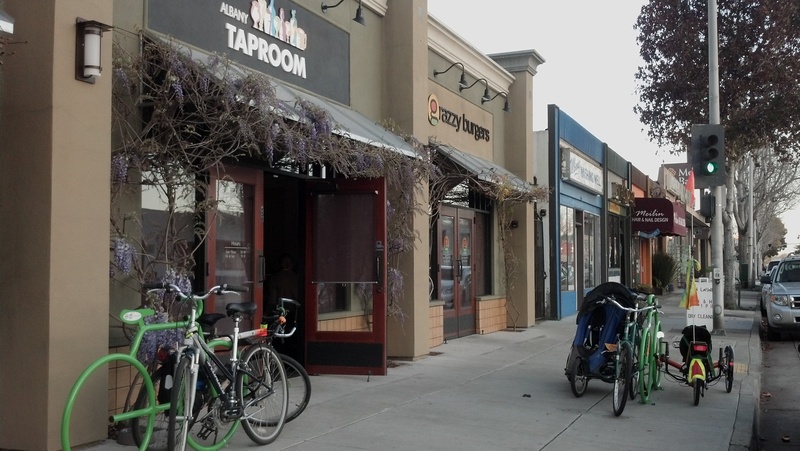 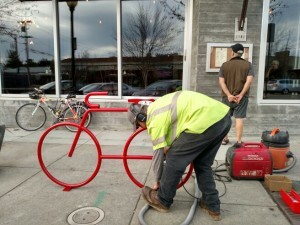 Grazzy Burgers/Albany Taproom showed great forethought by installing two Bike Bike Racks before they opened. 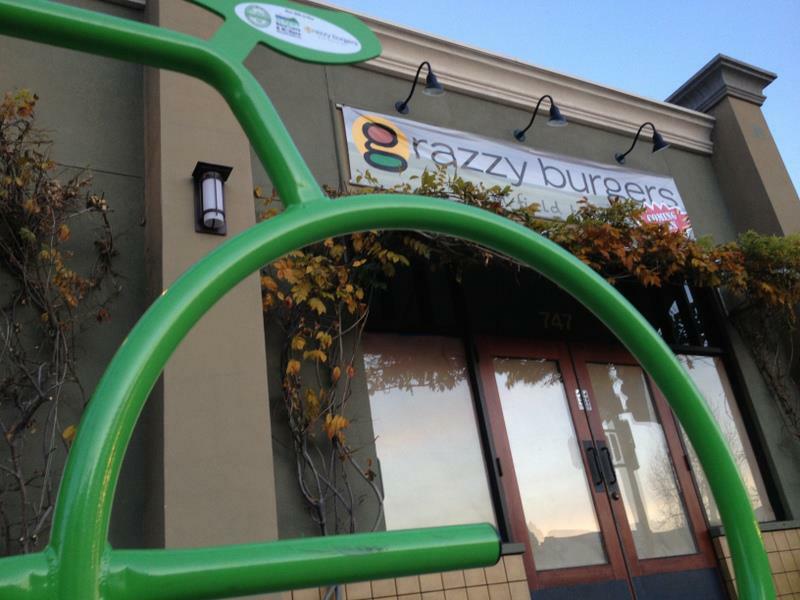 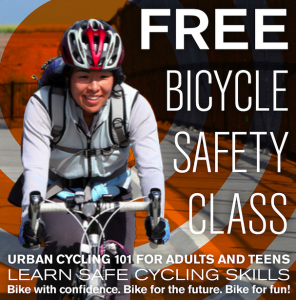 Can’t wait to ride there for a burger! 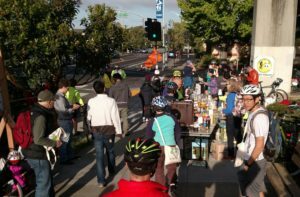 I went to BevMo to pick up something to drink while watching the World Series and met Paul from Berkeley. 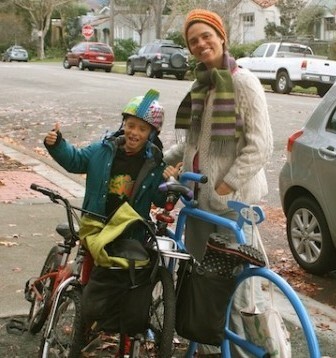 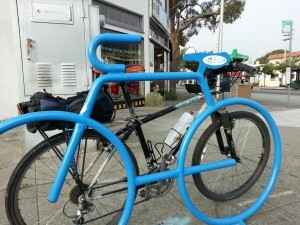 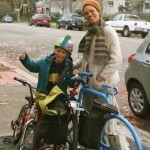 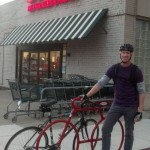 He loves BevMo and Albany Strollers & Rollers’ new Dero Bike Bike Rack and encouraged me keep on installing them! 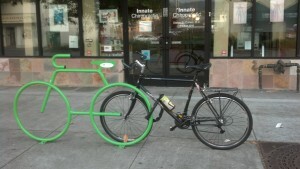 The racks by Boss Burger and the post office brighten up the corner and provide great bike parking! 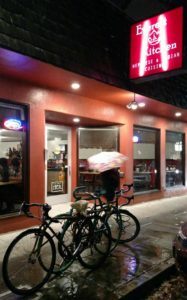 Ate dinner at Grazzy Burgers/Albany Taproom with Sherie Reineman and others during AS&R’s bi-monthly Happy Hour Meeting. 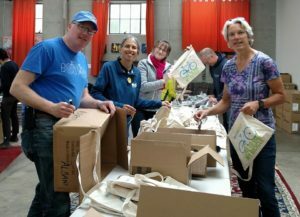 Lots of cyclists there enjoying a brew and a burger – good salads, too! More people came on bikes but I was too busy eating to take more photos. 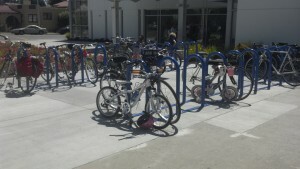 It was great to see so many racks at the pool in use on this warm Sunday! 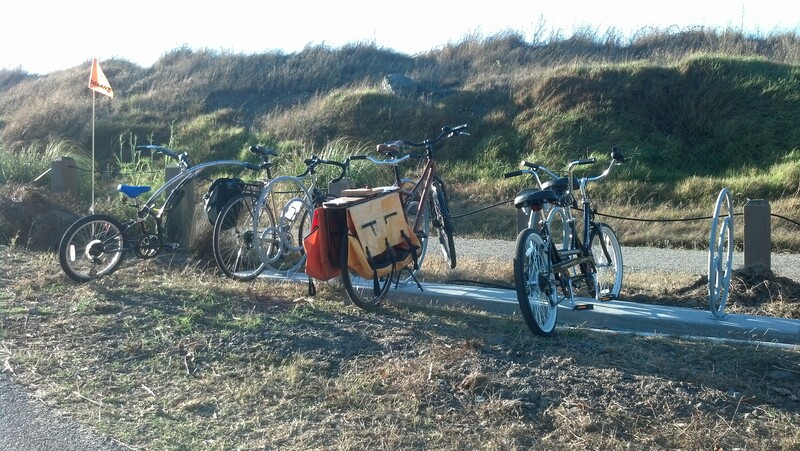 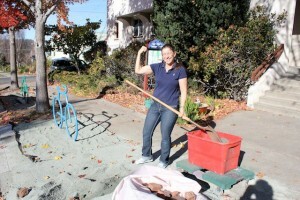 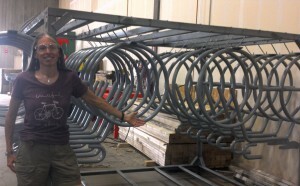 Mark Matherly of the City of Albany Public Works has been a one-man bike rack installation machine! 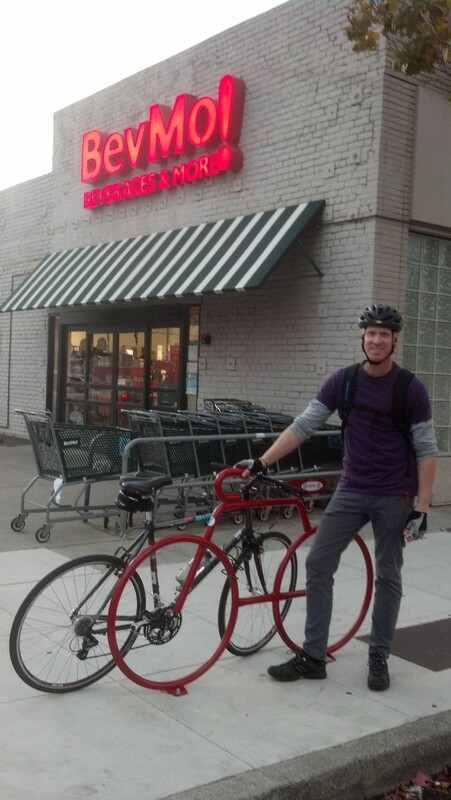 Here he installs the Bike Bike Rack at T324. 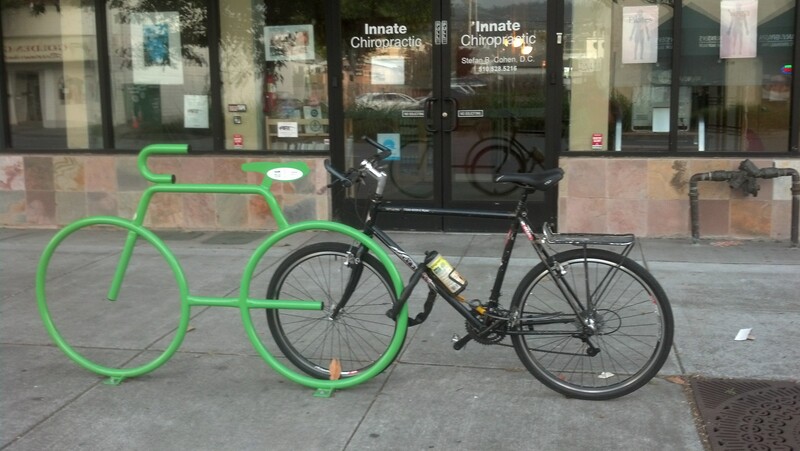 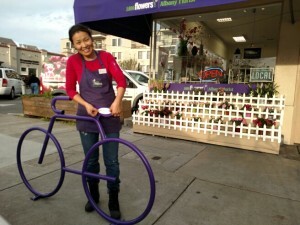 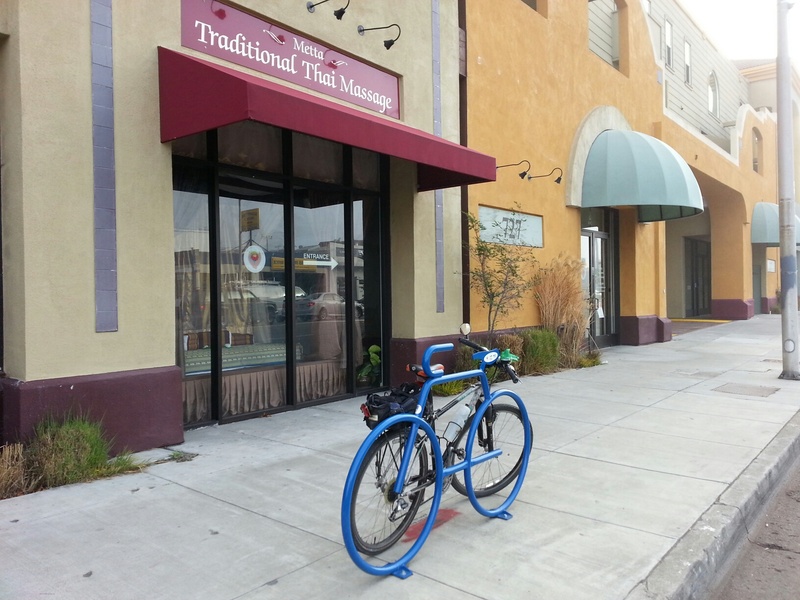 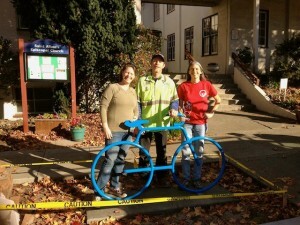 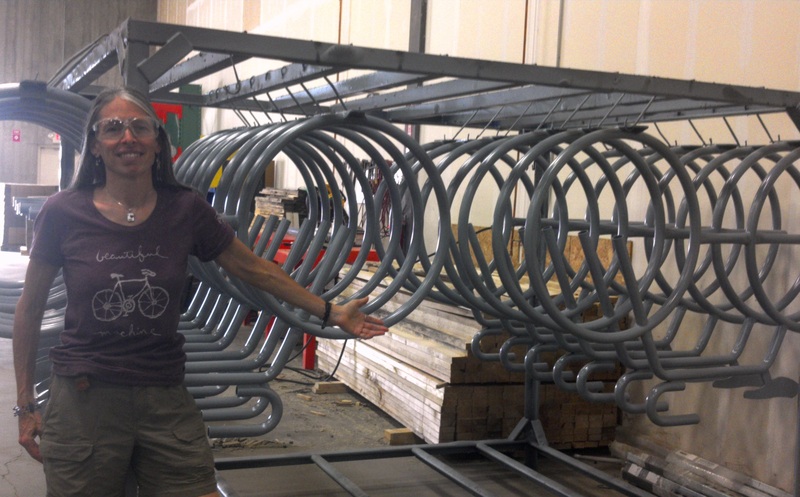 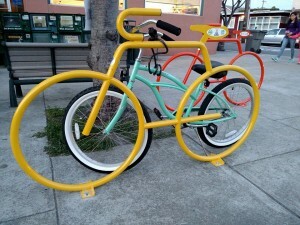 Albany Florist and Gifts’ owner, Zagdaa Baatar, puts the decal on her brand new Bike Bike Rack!! 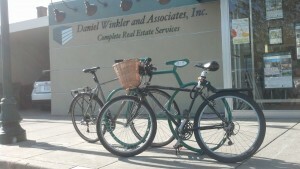 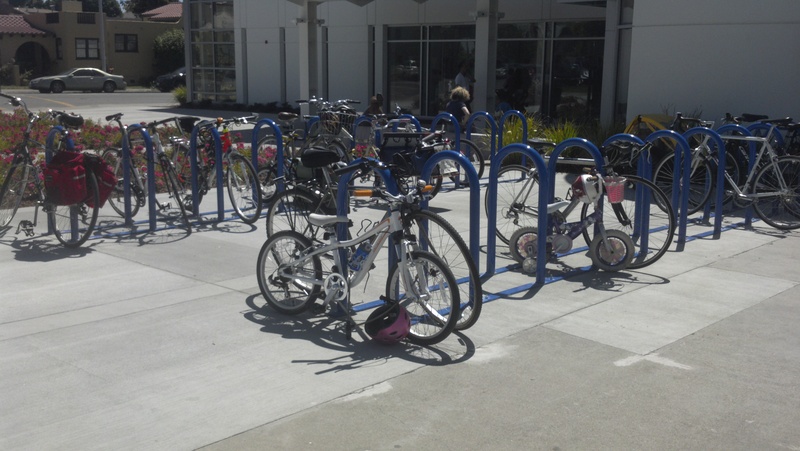 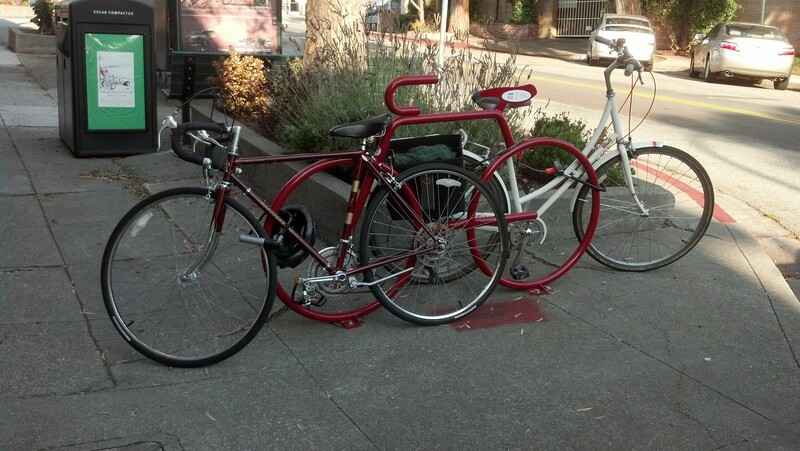 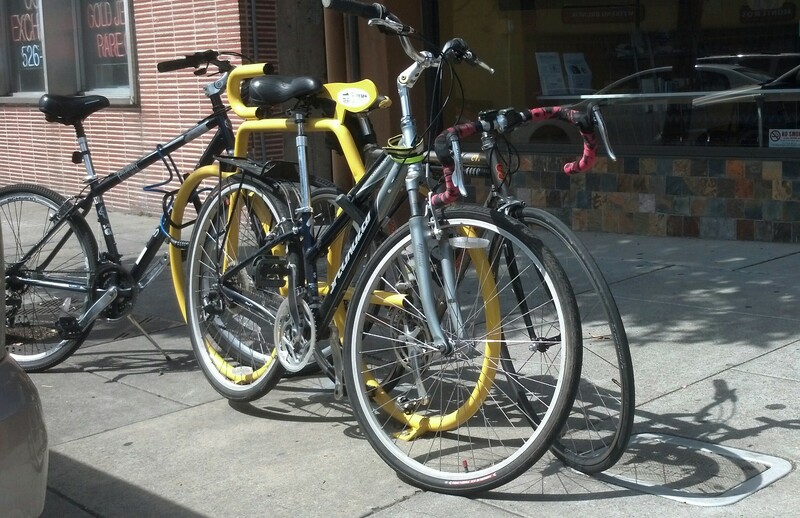 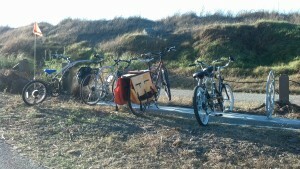 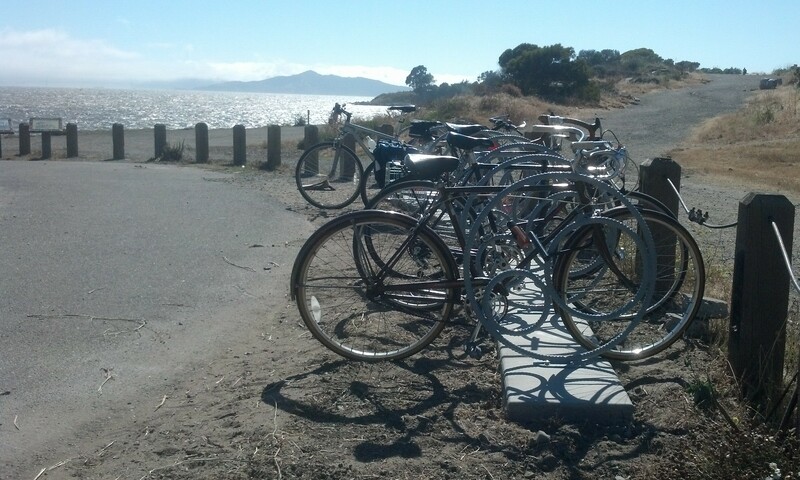 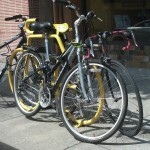 The Bike Bike Rack at Daniel Winkler & Associates is popular! 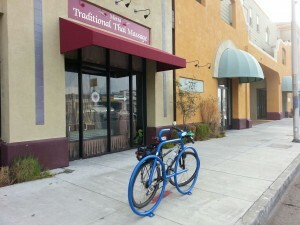 Need a massage, aromatherapy treatment or a workout? 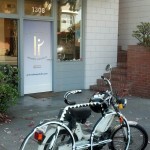 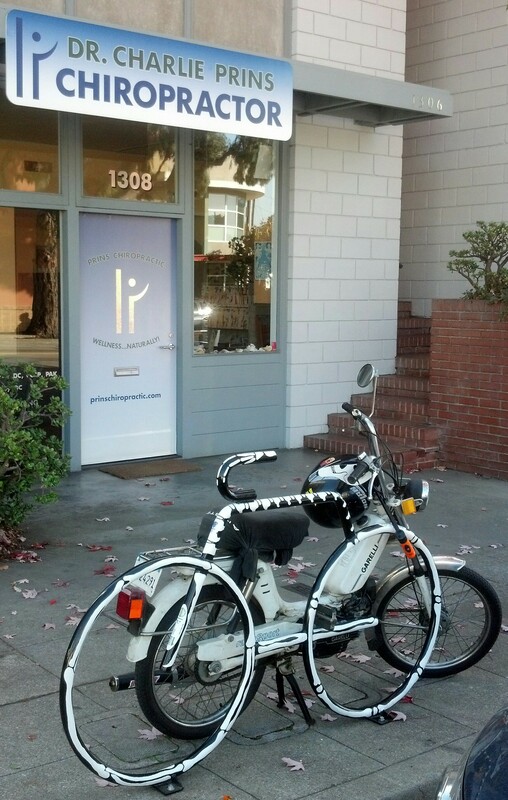 Roll right on down to Metta Traditional Thai Massage or Be Fit Personal Training and park your two-wheeler out front. 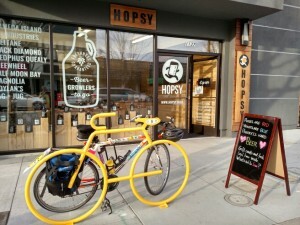 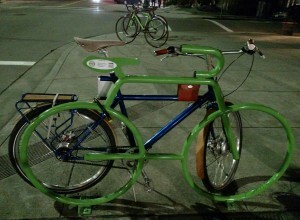 Pick up your Growler of Beer on your bike at Hopsy! 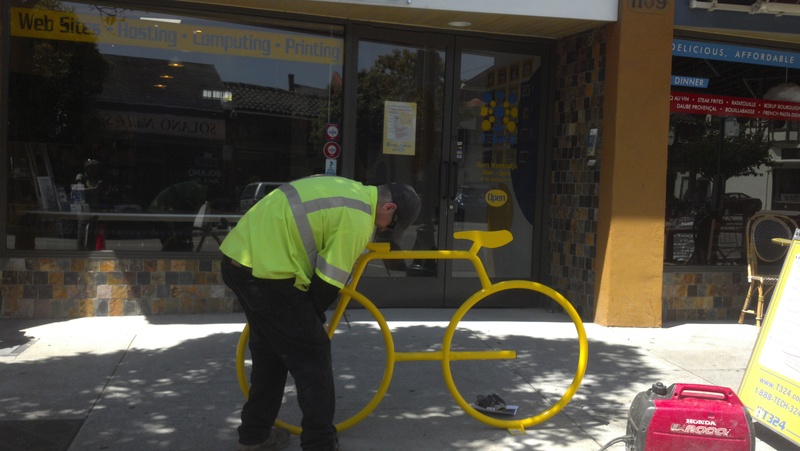 Public Works’ Mark Matherly installs the Dero Bike Bike Rack at Little Star Solano while Francesco Papalia checks out the menu!